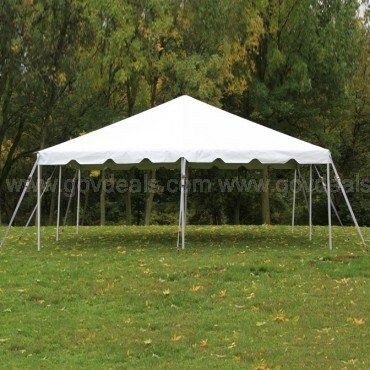 20 x 20 tent with aluminum poles in fair condition, dirt and normal wear and tear over 18 years of public event usage. 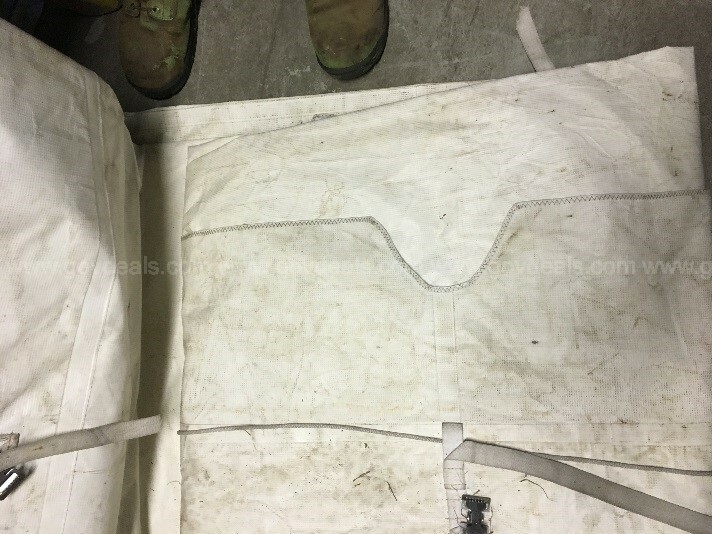 Picture of tent is when item was NEW. Equipment sold as is, where is. Bidders may inspect the property prior to bidding. Bidders must adhere to the inspection dates and times indicated in the item description. Please contact Tom Wormuth at the City's Public Works Fleet Maintenance Division at (727)724-1550 between the hours of 7:00am and 2:30pm Monday through Friday. Payment in full is due no later than 5 business days from the time and date of the Buyer's Certificate. Acceptable forms of payment are: U.S. Currency; Certified Cashiers Check; or Money Order. Please make Check/Money order payable to: City of Safety Harbor. Payments must be made at City Hall, 750 Main Street, Safety Harbor, FL 34695. Receipt is required to be shown when removing equipment from 1200 Railroad Avenue, Safety Harbor, FL 34695. All items must be removed within 10 business days from the time and date of issuance of the Buyer's Certificate. The buyer is responsible for loading and removal and any and all property awarded to them from the place where the property is located as indicated on the website and in the Buyer's Certificate. Under no circumstances will the City of Safety Harbor assume responsibility for packing, loading or shipping. Property is located at 1200 Railroad Ave, Safety Harbor and may be removed between the hours of 7:00am and 2:30pm Monday through Friday, excluding legal holidays. 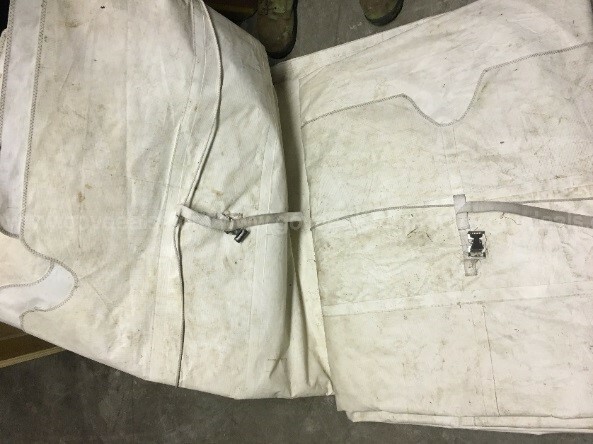 If items have been paid for in full within the 5 days, but have not been picked up within the ten days, the buyer will be charged $50 PER DAY storage fee for every day after the ten days. 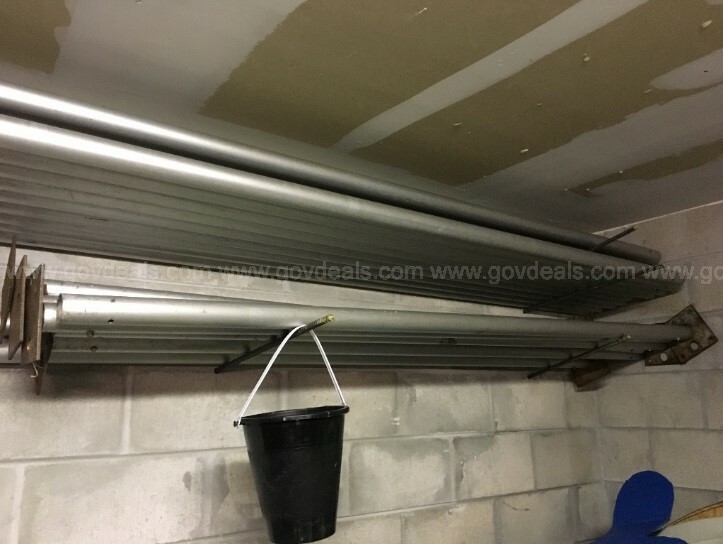 If you are the winning bidder and default by failing to adhere to this sellers terms and conditions, your account WILL BE LOCKED OUT OF GOVDEALS. GUARANTY WAIVER: All property is offered for sale “AS IS, WHERE IS.” (Seller) makes no warranty, guaranty or representation of any kind, expressed or implied, as to the merchantability or fitness for any purpose of the property offered for sale. The Buyer is not entitled to any payment for loss of profit or any other money damages – special, direct, indirect, or consequential. DESCRIPTION WARRANTY: Seller warrants to the Buyer that the property offered for sale will conform to its description. Any claim for misdescription must be made prior to removal of the property. If Seller confirms that the property does not conform to the description, Seller will keep the property and refund any money paid. The liability of the seller shall not exceed the actual purchase price of the property. Please note that upon removal of the property, all sales are final. 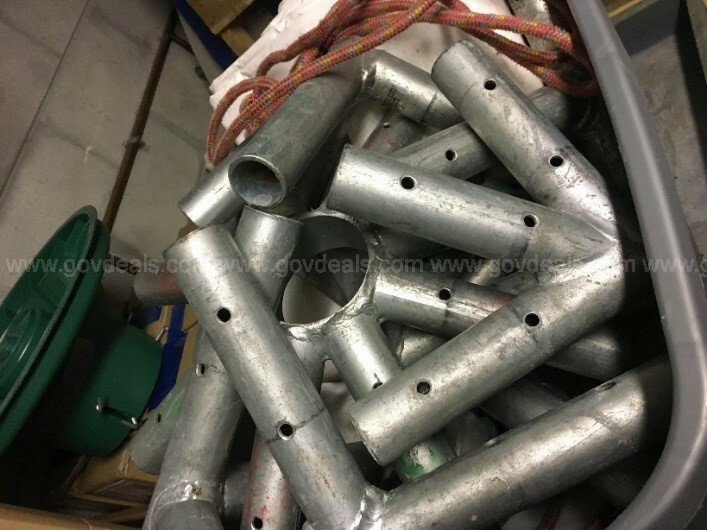 Most items offered for sale are used and may contain defects not immediately detectable. Bidders may inspect the property prior to bidding. Payment in full is due not later than 5 business days from the time and date of the Buyers Certificate. Acceptable forms of payment are: CASH, CASHIER CHECKS, OR MONEY ORDERS. REMOVAL OF ITEMS: All items must be removed within 10 business days from the time and date of issuance of the Buyer’s Certificate. Purchases will be released only upon receipt of payment as specified. Successful bidders are responsible for loading and removal and any and all property awarded to them. A daily storage fee of $50.00 may be charged for any item not removed within the 10 business days allowed.